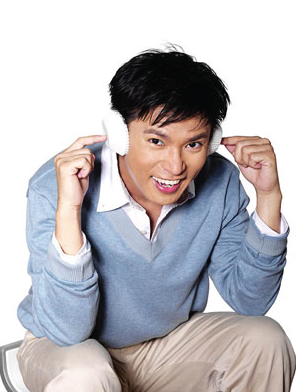 An all-rounder artist, Yang Wei Han is a well-known singer and a multiple-award winning song composer and TV host. Wei Han holds a Bachelor in Landscape Architecture from the University of Technology Malaysia. He became a recording artiste in 1997 with his debut album entitled Loving you Is Actually Perilous (1997), Chinese Song Legend Yao Min (2003), Xing Fu Xing Le (2004). Instantly, Wei Han has proven himself as an incredibly talented singer and songwriter, with a list of awards garnered including Nan Yang Top Ten Best Newcomer Award (1997), Nan Yang Top Ten Award (1998-2006), Nan Yang Top Ten Best Performer (2003), PWHWP Top Ten Songs Award (1998-2002), PWHWP The Best Arrangement Award (2002) and The Best Media Awards, Chinese AIM The Best Song Arrangement and The Song Of The Year (2001, 2002). Winning these awards is not Wei Han’s peak of success yet, he was also actively involved in various musical productions. In 1999, Wei Han played the lead role Prince Siddhartha and Buddha in the Siddhartha The Musical. The musical received tremendous response from the audience locally (1999 & 2002) so much so that the musical was brought to “live” again in Singapore (2000), Johannesburg, Durban, Cape Town, South Africa (2002), and Jakarta, Indonesia (2007). Unleashing his potential in musical performance once again, Wei Han played the lead role as Mr. Lee Shu Tong in Above Full Moon Musical (2004,2005 in Malaysia, 2004 in Singapore, 2007 in China) and another musical The Perfect Circle (2005-2007). Wei Han’s outstanding performance in the musicals has helped to put Malaysia in the spotlight. Besides that, Wei Han also hosted “Shi Shi Chui Zhong” (NTV7,2000), The Chair (NTV7, 2002) and CGM (Astro, 2003, 2005 to 2007). Despite his huge achievement, Wei Han remains humble and appreciative. Indeed, this Pensonic brand ambassador (2005-2007) resembles Pensonic in every ways possible.